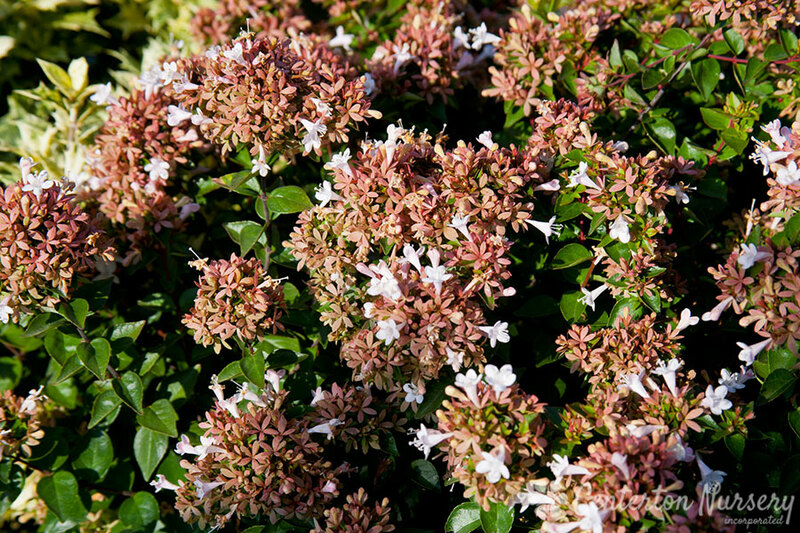 Countless small white trumpets cover a mound of glossy green foliage, flowers drop to expose rosy pink calyx, fall foliage shows hints of purple, semi-evergreen. Autumn/Winter Care: Prune anytime January to May. Fertilizer Needs: Twice a year (once after frost threat is over and once in mid-summer) with a balanced fertilizer.